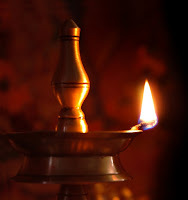 In almost every Indian home a lamp is lit daily. In some houses it is lit at dawn, in some, twice a day – at dawn and dusk – and in a few it is maintained continuously (akhanda deepa). 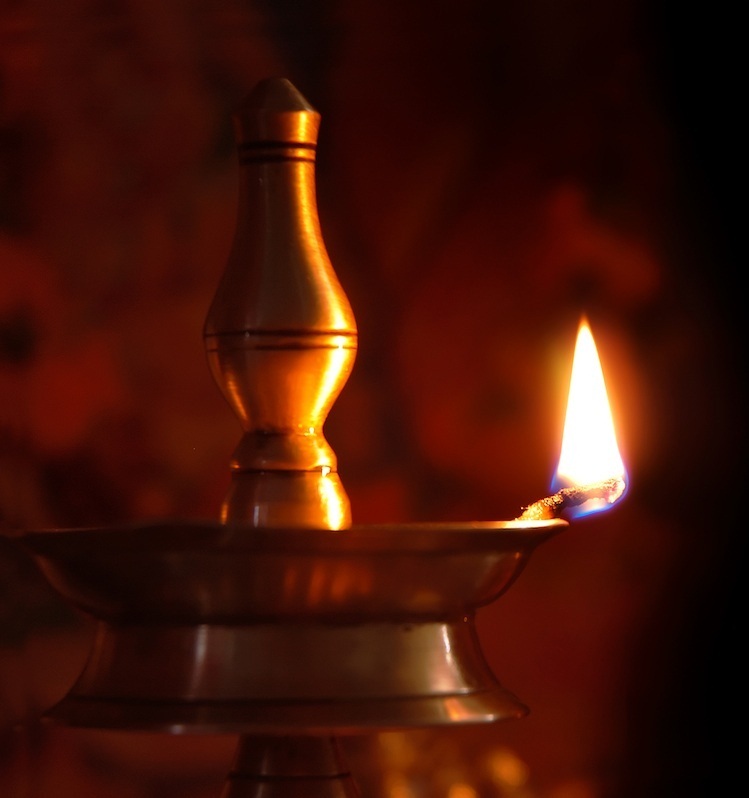 All auspicious functions commence with the lighting of the lamp, which is often maintained right through the occasion. Even Rig Veda starts with a hymn to Agni. Light symbolizes knowledge, and darkness, ignorance. The Lord is the "Knowledge Principle" (chaitanya) who is the source, the enlivener and the illuminator of all knowledge. Hence light is worshiped as the Lord himself.